We are a not-for-profit volunteer organization in Belmont, Mass. Our mission is promoting good health, access to fresh and local food, nutrition, and local and sustainable farming. Our work includes Belmont Farmers' Market, Belmont Composts!, Community Growing, Food Assistance, Food Education and more. Read the mission statement to learn more about us. Donations support our programs – sponsors and donors are welcome. We love having new people get involved, so let us know if you’d like to volunteer. 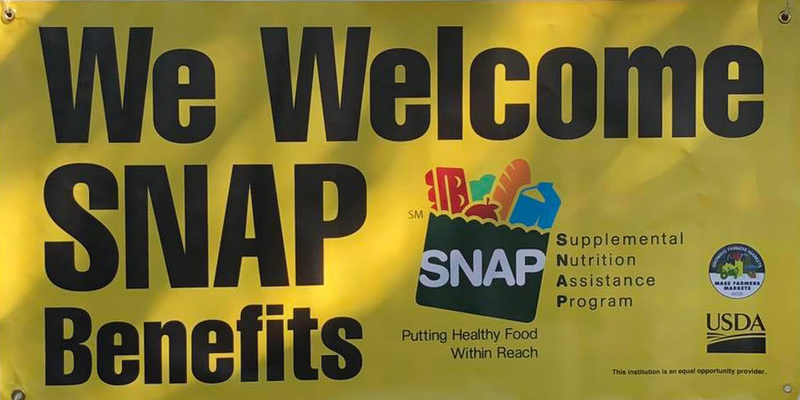 We match SNAP benefits (Food Stamps) as well as WIC (for moms & babies) and FMNP coupons (for seniors) at the Farmers’ Market, along with other programs.